In the Bible we read “Behold, children are a heritage from the Lord, the fruit of the womb a reward.” (Psalm 127:3) Children are one of the biggest ministries you will ever have. Our precious little ones are a gift from God and we should be in prayer for them daily. 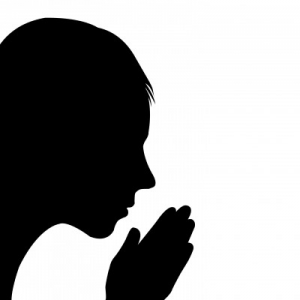 Here are 7 prayers that you can pray for your kids. There are many things to pray about when it comes to our kids. Salvation is the most important thing that we can pray about for them. I encourage you to pray that your kids will love Jesus all of their days. Heaven is way too wonderful to miss out on. To be in the presence of God for eternity will be amazing! God bless you as you live a life worthy of the calling! Praying for our children and puting their life and destiny in the hands of the creator is the most beautiful thing we can give to them. And the devil is always after them to get to us, so when we pray for them, we are also saving ourselves from pain and grieve. Thank you for your comment Godlove. There is wisdom in your words and I have learned a valuable lesson from you. Thank you and God bless you! Superb collection and knowing the fact that you are a father, I can believe that you already probably do these Derek. Your children must surely be blessed. Outstanding ideas indeed brother. Thank you Jack. I do pray for my kids every day. I love being a dad. God has blessed me so much with my kids. I want to do everything I can while I am alive here to showcase Christ to them because I want to see them in heaven with me. God bless you brother! I really do appreciate the good work you are doing.I believe that children are so dear to the Lord and as parents we have the responsibility to pray for at all times,study the Bible with them and to make sure we instill the fear of God in them so that when they grow they will not depart from it.I also think that if all christian parents would make it and ensuring that our children have a closer walk with the Lord,the world would have a better place for us to live in.Thank you. I completely agree with you Victor. We need to pray for our kids everyday and talk about the Bible with them any chance we can. The Word of God brings life into us. The world would be a better place if we all did this. Thank you for those thoughts! God bless you! Lovely article brother. Am a newly wed and with much desire to read such articles that will showcase Gods devine will. Kids are at the core of every family and am loving what am reading! Thank you for your kind words Japheth. Congrats on your marriage! Kids are awesome! I love being a father! You are right, kids are part of the core of the family. God bless you!